Home › Efoshm Black Upgrated K5 Plus Wireless Activity And Sleep Monitor Pedometer S..
Efoshm Black Upgrated K5 Plus Wireless Activity And Sleep Monitor Pedometer S.. Call Reminer Tell you who call you. Alarm Clock Good help to tell you to do something you plan for. Sedentary Reminder Remind you to take exercises when you keep sitting or still for some time. Data SyncSteps,burned calories,distance will be synchronized after connection with smartphone. Sleep MonitorTW64 is able to detect how long you sleep, through its health software, count up your time of deep sleep,light sleep. PedometerIt is a good friend to tell your sports situation:how many steps you walk,how far you run.Hey!Guy,it is good monitor for health. Message Reminder Message notification.Show the messages sent and received,and it needs to install SMARTZERONER to use this function. 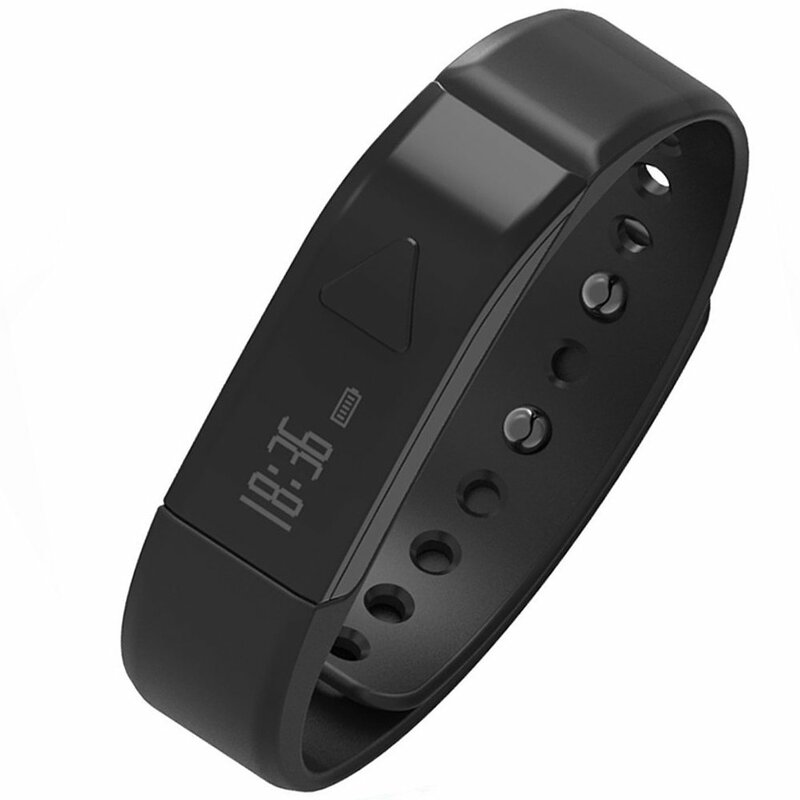 Sleep mode Bracelet will turn into sleep mode after keep pressing button for 2 times vibration for saving power.Do the same thing,close sleep mode.